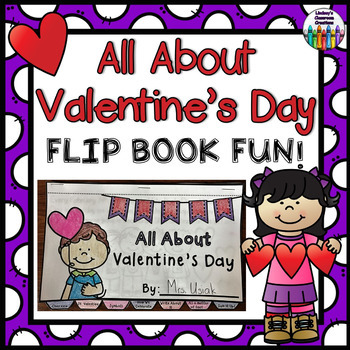 VALENTINE'S DAY Flip Book! 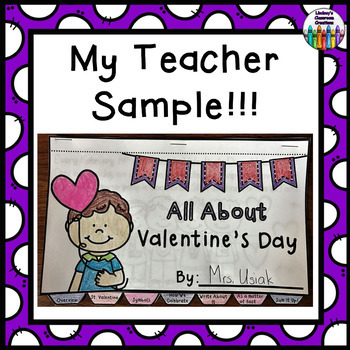 All About Valentine's Day + Activity Pages! Holiday Flip Book BUNDLE! Thanksgiving, Christmas, MLK Day & More! 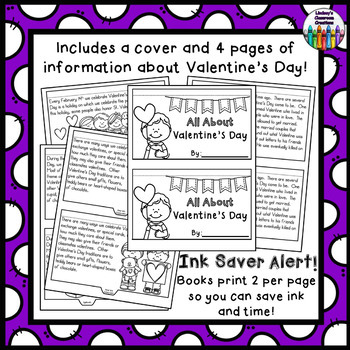 Celebrate Valentine's Day with your 1st, 2nd, and 3rd grade students with this Valentine's Day flip book / mini-reader! This flip book can be used as an in class activity or even as a take home reader so your students can continue their learning at home. Ink Saver Alert!!!! - I have set up this document so that you can print 2 flip book pages per sheet of paper. This flip book is virtually no prep work for you as the teacher. All you have to do is copy the flipbooks and your kiddos can do the coloring and cutting! Check out the PREVIEW to see the entire download! This flip book is part of my HOLIDAY FLIP BOOK BUNDLE! If you want more great holiday flip books to use throughout the school year, give this bundle a try! Click the link below to view this AWESOME product!